Never underestimate the power of lighting: it sets the stage for usability, ambiance, and a gleaming appearance. That’s why it’s an excellent area to consider improving in your kitchen. 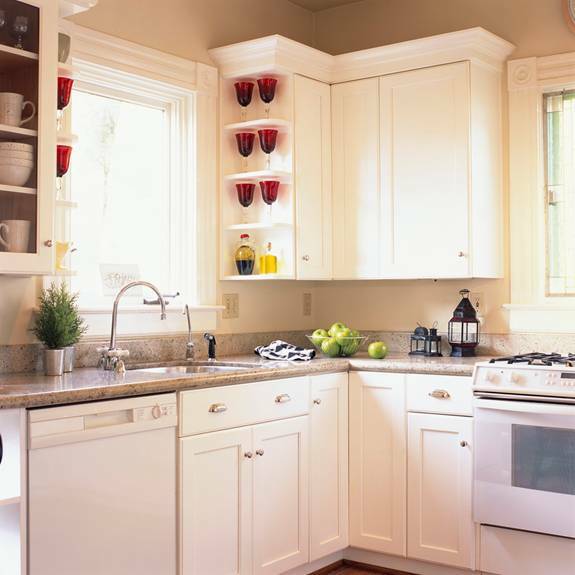 After you’ve examined cabinets, countertops, backsplashes and sinks, you still haven’t exhausted all of your cost-effective options for improving your kitchen’s value: you still have to take a look at lighting. There are several places lighting is needed in a kitchen, including over the dining area and above the work area. Other lights in the kitchen include inside and underneath the cabinets and ambience lighting. Take a look at what is and isn’t working in your home’s current design; then decide what to update. When choosing the type of light for your kitchen, take pictures of the room with you to the store to give you a better idea of how the fixture will look when installed. Remember you will want something that will provide an abundance of light over the area where you do most of your food preparation. If you have a larger area, track lighting might be considered. A chandelier or a decorative fixture with a dimmer switch could be appropriate over the dining table area. Lighting inside the cabinets creates a dramatic look, but is only needed if the doors have glass or Plexiglas. Lighting underneath the cabinets can be functional or just add flair. Both areas can be illuminated inexpensively and quickly with small battery-operated or plug-in fixtures. Sometimes, and this depends on the layout of the kitchen, wall sconces may work too for goodkitchen lighting. I would maybe put a wall sconce above the working area of the kitchen.